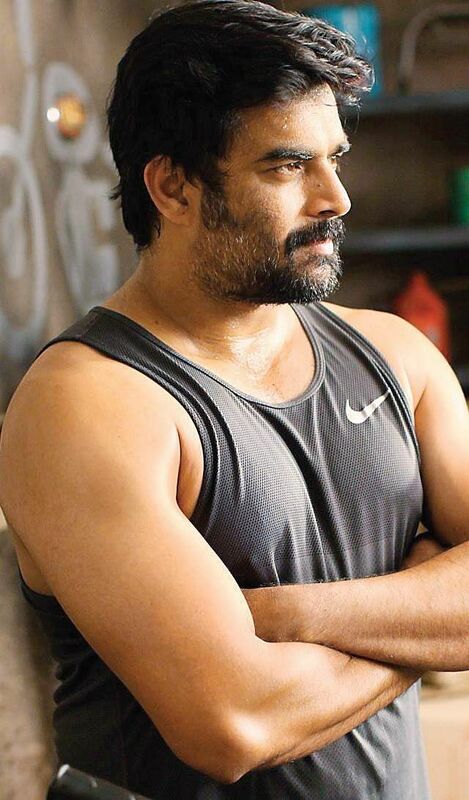 Vikram Vedha is already declared a box-office hit, and Madhavan is over the moon, naturally. Vikram Vedha is already declared a box-office hit, and Madhavan is over the moon, naturally. From getting interesting scripts, doing multi-starrers and becoming busy with a web series, Maddy shares with TNIE his future plans over a telecon. Pushkar-Gayathri’s Vikram Vedha isn’t your average cop-robber story. What sets it apart is the screenplay, background score and the easy chemistry between Vijay Sethupathi and Madhavan. After the massive box office success last year with his critically acclaimed Irudhi Suttru, Maddy returns as a straight-talking cop, Vikram, who doesn’t lose sleep over crossing the line to kill a baddie. The chocolate-boy-romantic-hero is nowhere seen in the film, but we are not complaining...his charisma is irresistible. Rave reviews have been pouring in — both from critics and audiences — and the film is already declared a superhit. 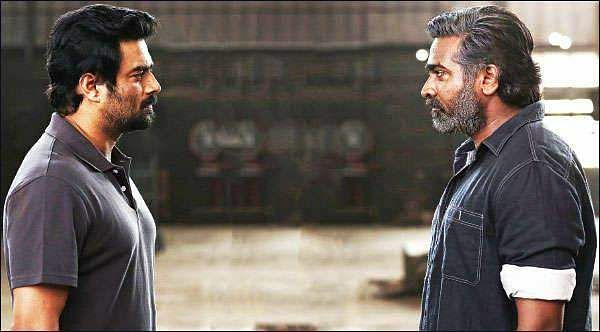 How different is Vikram Vedha from your previous films? All my films have been different, I guess. Vikram Vedha’s script, based on the Vikram-Betal stories, intrigued me. I was lured by the interesting clash of characters. I play a cop who is convinced he’s right. On the other side, Vijay Sethupathi plays the bad guy. Avar panra vishyangalil oru nyaayam irukum (His actions are justified). The film is about an exploration of good and bad. You will find it difficult to say which one is right in the film. You’re not the only hero of the film…didn’t that bother you? How does it feel to be one of the few South Indian heroes to have been successful in Bollywood? I am a South Indian, but that doesn’t really matter. Rajini sir and Kamal sir did very well in Bollywood too. I’ve been fortunate to have appealed to a pan-Indian audience. My selective approach to films has always been an effort to stay relevant. This generation moves on quickly, and sometimes actors can get left behind. You’re no longer doing conventional hero who dances in duets. I am done with all that. I am 48, and it would be odd to dance with girls half my age. Let’s be practical. An actor needs to introspect and engage in serious cinema too, if only to test himself as a performer. Overall, the script I pick has to be intelligent, appropriate for my age, and appeal to all sections of the audience. I enjoy what I do and I do what I feel from my heart. lot of time with the directors. I try to know them, their abilities. What was it to like to work with Vijay Sethupathi, and the director-duo, Pushkar-Gayathri? As a team, we bonded easily. I found Vijay to be extremely humble. And I don’t think I could have done his character. It was perfect for him. After Kamal Haasan, I believe Vijay Sethupathi is the best we have. The team I work with is important for me. Before I sign a project, I spend a lot of time with the directors. I try to know them, their abilities. Naan avungala test pannuven; torture pannirken pesi (I test them; torture them with conversations). They wouldn’t even know I was doing that (laughs). I have never walked out of a film, and that’s because I know my directors. Pushkar and Gayathri complement each other well. It never felt like I was working with a duo. In 2016, it was Irudhi Suttru. Now, it’s Vikram Vedha. How are you getting such great scripts? When a story appeals to me, I often hound the director and convince them. Tanu Weds Manu, 13B, Irudhi Suttru…all these projects happened like that. I think that’s how good films are made. Content is more important than stars. I want to work with new directors who’re open to experimenting and ideas. Any regrets about missing out on projects? Not at all! But I guess I can say I failed to foresee the failure of some films. That’s sad. You are also working on Breath, a web series for Amazon Prime. As an artiste, I believe in re-inventing myself. I am not the only one to do so. Look at Kamal sir. He’s hosting Bigg Boss in Tamil and has made it popular. We have a very discerning audience here who expect value for money. I am game for all kinds of innovation. The series I’m working on is bigger than any of the films I’ve done so far.